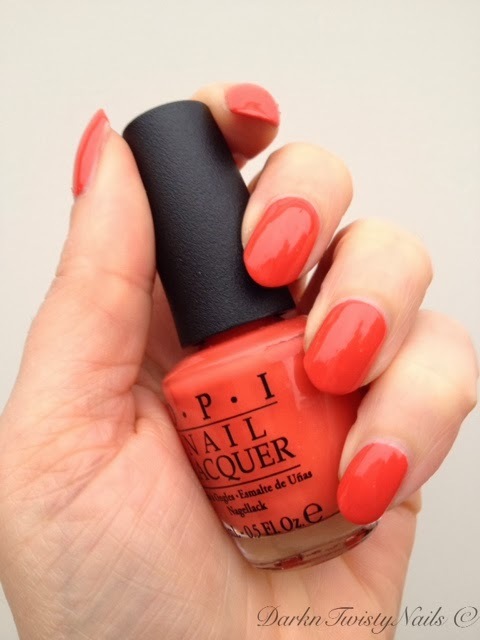 I have been doing a lot of fall manicures lately and a stable color I used was a gorgeous dusty orange cream. I think this is fall in a bottle when you want a bit of a brighter color and I grab this a lot this time of year. 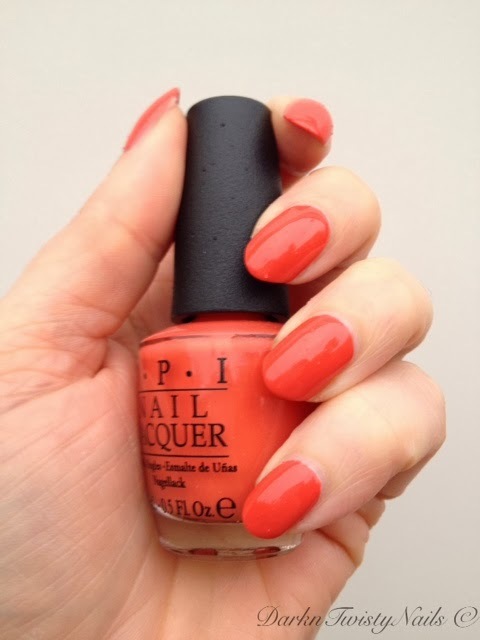 OPI Call me Gwen-ever was part of the 2012 Spiderman collection. It's, like I said, a dusty orange cream. 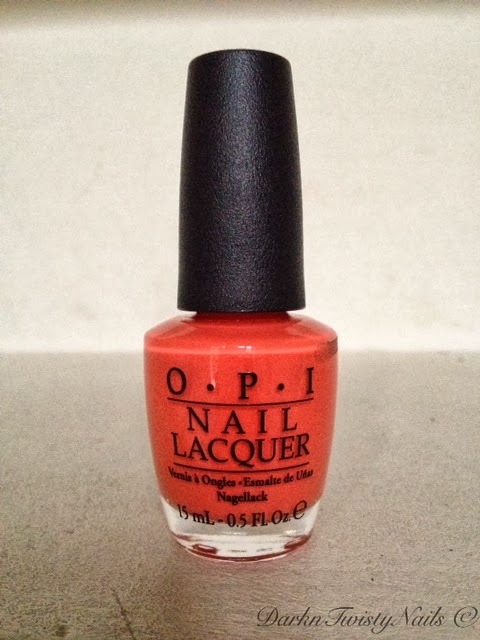 I really like orange polish, I wear bright, neon, glitter, shimmer and every other orange polish you can think of, but if you don't like bright, in your face orange, than this polish might be the one for you. This is, in my book, the perfect fall color. It reminds me of the leaves, just before they turn brown. The formula is not bad, it's a little streaky, but levels out nicely on the nail. 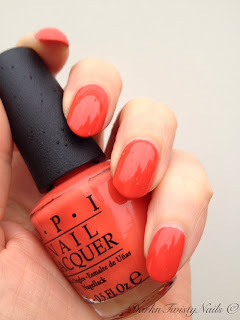 It's opaque in 2 - 3 thin coats and dries fast. What do you think about orange nails and what is your favorite orange polish? Lovin' this...I don't think I have ever seen it! You should check it out, it's absolutely gorgeous in a veruy subtle way! Very nice. I will be on the hunt for this one!